The only 100% electric cruise boat in Finland is environmental friendly, nearly silent and is very comfortable. Guests sit on leather sofas protected from the weather at almost water level, listening to stories by the skipper. Nostalgic cruises take its passengers to the roots of Old Varkaus and the Kolovesi cruise provides a fine experience in nature in the rugged landscape of the national park. Charter cruises are also available. 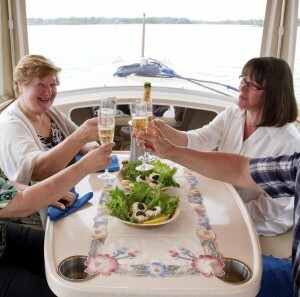 Programmes and entertainment can be added to chartered cruises based on your wishes, including accordion playing, food and drink service, exploration of underwater world and fish with an underwater video camera, pirate captain and fishing. 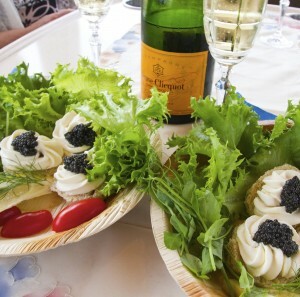 A truly luxurious cruise is created if you yet order caviar of Varkaus with champagne.